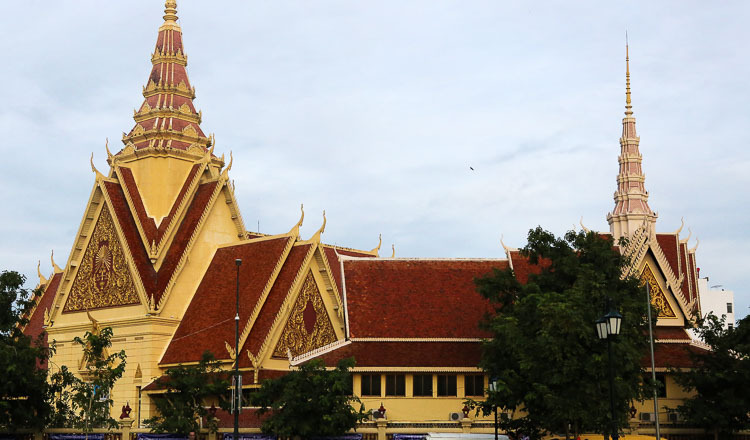 Opposition MPs will today boycott a special National Assembly session to debate whether to allow Phnom Penh Municipal Court to proceed with treason charges against jailed CNRP leader Kem Sokha. 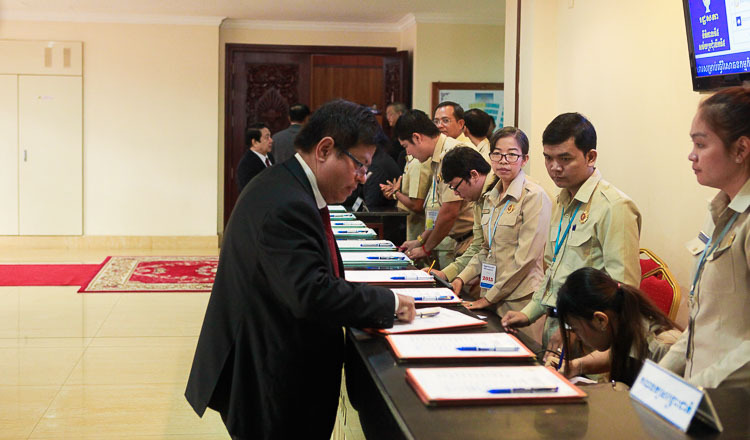 The decision was made after the CNRP’s permanent committee held an internal meeting on Saturday. “We decided not to join the extraordinary session of the National Assembly,” CNRP lawmaker Mao Monivann confirmed yesterday. Instead, opposition MPs will travel to Tboung Khmum province to gather outside Trapaing Phlong prison, where Mr Sokha is being held. CNRP MPs had applied to Phnom Penh Municipal Court for permission to visit Mr Sokha in prison today but were refused. National Assembly spokesman Chheang Vun said today’s session would discuss the alleged offences against Mr Sokha, which have been deemed a “flagrant crime”. 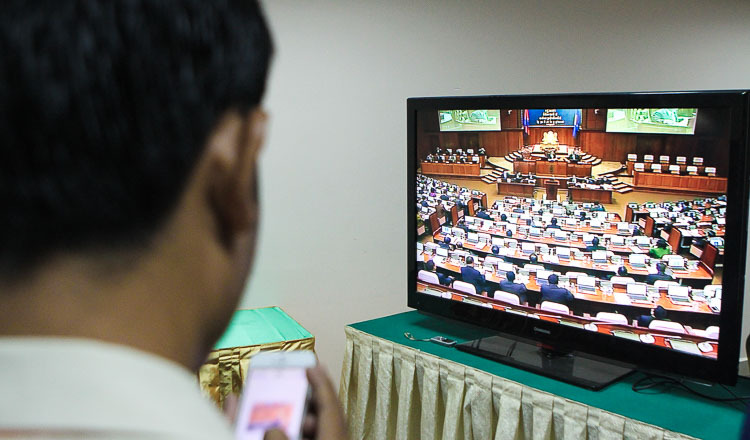 “The session will be to vote on whether to stop the court’s legal procedures,” Mr Vun said, adding the National Assembly could stop court procedures against Mr Sokha, but only if three quarters of the members voted to say so. 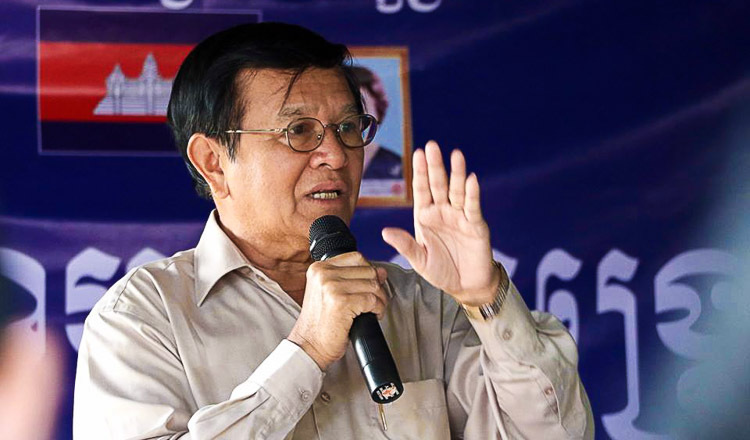 Mr Vun said he was not surprised by the CNRP boycott. “If they decide not to attend the session, it means they don’t want to prevent their leader being charged in court,” Mr Vun said. 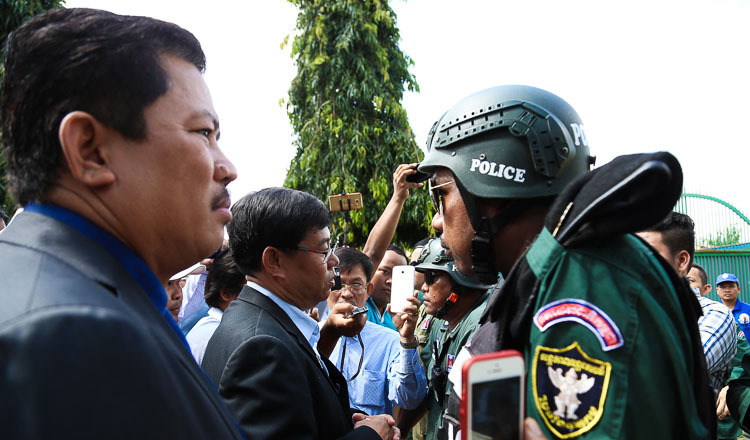 According to the government-aligned media outlet Fresh news, Tboung Khmum provincial authorities will deploy about 300 police and military forces to maintain security when the CNRP politicians gather in front of the prison. The party’s internal meeting confirmed that Mr Sokha would not be replaced. “The party’s permanent committee decided Mr Sokha is to remain party president,” Mr Monivann said. He added that Pol Hom, one of three deputy presidents, had been promoted to acting president. Prime Minister Hun Sen met garment workers again at Koh Pich yesterday, saying the mastermind behind the Veng Sreng street protests was now in prison, referring to Mr Sokha. “Arrests will continue for the others involved,” he said. 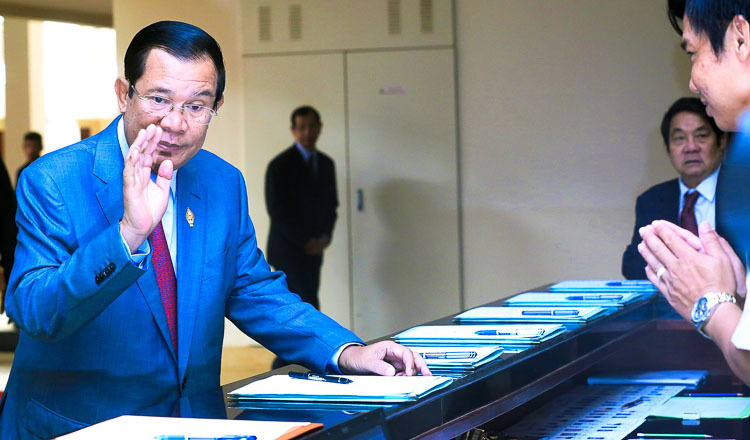 Mr Hun Sen went on to question whether the entire CNRP was involved with the protests. “If the party was, then it must be dissolved,” he said. Mr Sokha was last week charged by the municipal court with treason for allegedly conspiring with a foreign power. The offence is punishable by 15 to 30 years in jail. The court released a statement defending the charge, claiming it was legal and followed procedures. The case against Mr Sokha was based on video footage published by the Australia-based news outlet CBN and other evidence collected by police, it said.